If you eat bananas that are either under ripe or overripe this can be a problem. 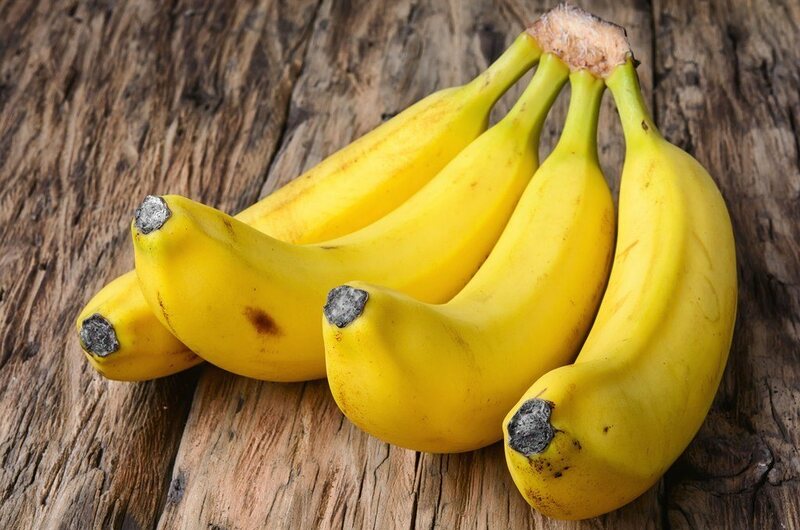 Eating under ripe bananas causes digestive problems, they taste bad, the nutrients aren’t fully available to the body so the body doesn’t get the vitamins and minerals it requires and starts to deteriorate. It is also bad for the teeth to eat under ripe bananas. If you eat overripe bananas, they have started to ferment which also causes digestive problems, doesn’t taste good and also doesn’t have the nutrients available at the right time. So that’s why we need to make sure our bananas are the correct ripeness when we eat them. Below I give you the exact blueprint so you know how to tell when bananas are ripe and good to eat, and you can save this for future reference when eating bananas. Here are 7 signs so you know exactly how to tell when bananas are ripe and good to eat. There is always a massive debate about when a banana is good to eat, because when it comes to bananas, everybody has their own preference. So if you are a fan of green bananas, there’s probably nothing I can say to convince you to eat yellow bananas. But if you are thinking of making banana smoothies or banana ice cream then you could be persuaded to eat your bananas in a different way from what I’m about to say. A study done by Japanese researchers showed that a banana that has brown spots on it’s peel creates a substance called TNF (Tumor Necrosis Factor) that does a good job of fighting cancer cells. The effect on our bodies from eating brown speckled bananas rather than green bananas is 8 times higher. So the optimal time to eat a banana is when it’s got some brown spots on it. Be aware though, that black long patches on a banana are not brown speckled, but bruises usually from resting on a surface or being bashed. So make sure the brown spots are small and all over the banana, not bruises. 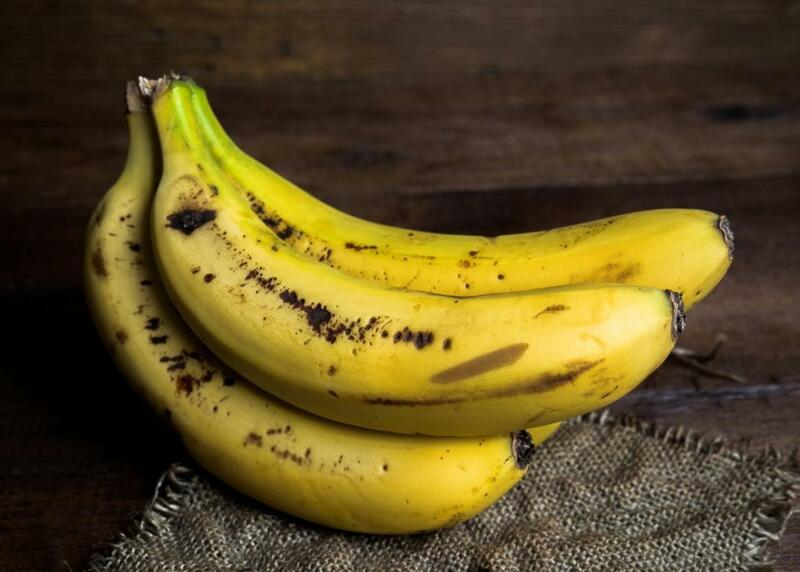 However, some bananas get brown spots and they are still under ripe, so it’s always good to be aware of some other signs of a ripe banana too. Give a green banana a squeeze. Now give a yellow banana and finally give a brown spotted banana a squeeze. You’ll be able to feel the difference. The brown spotty banana is so much softer. This shows the banana is probably ripe. If it’s falling apart in your hands and the brown spots have increased so much in number that the whole banana is black, it’s probably over ripe and no good to eat. Make sure there is no green left on the stem otherwise the banana is still ripening. If you try and peel a green banana, you’ll really struggle. That’s because it’s natures way of telling us that the banana isn’t ready to be eaten. If the banana opens easily it’s usually ripe. 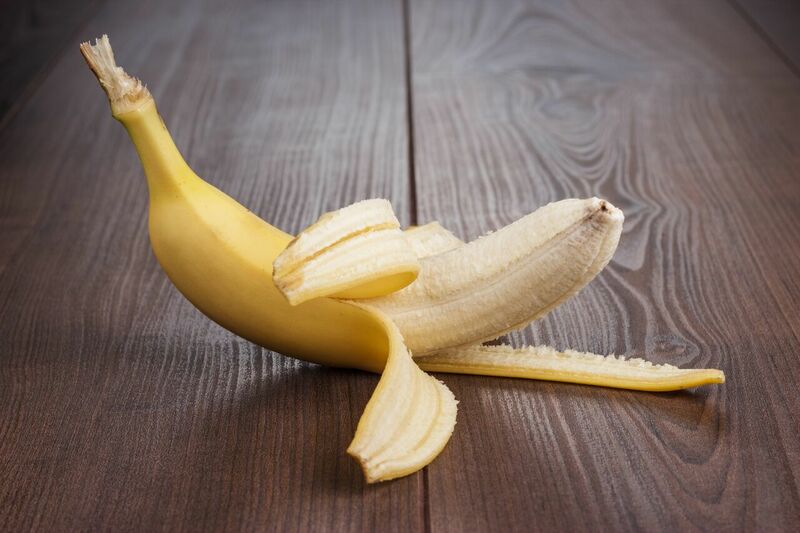 When a banana gets overripe the stem will usually snap off just by moving a banana. At this point I’d be reluctant to eat the banana because small holes may have already appeared on the stem and it may have started to ferment and attract fruit flies. The peel should fall off effortlessly. If it’s a struggle, again it’s nature’s way of telling us not to do it. If you listen to the noise that peeling a banana makes, if you can hear a loud noise, it’s unripe, but if it glides off without much of a noise at all then it’s usually perfect to eat, unless it’s overripe. Unripe bananas are not so good for your teeth because they are very starchy and get stuck between your teeth. Your body needs to work a lot harder to digest them and that includes from between your teeth. Unripe bananas will leave much more of a film on your teeth but after eating a fully ripe banana your teeth will feel a lot cleaner. Regardless of how you eat your bananas, I highly recommend you swish your mouth out with water after eating, and preferably use a water flosser to remove food from between your teeth. We need to look after our gnashers or we’ll be stuck drinking only smoothies for the rest of our lives. When bananas were first introduced to America, they had to be taught when bananas were ripe and ready to eat. So Chiquita made the Chiquita Banana Jingle which was released in 1944. It was played hundreds of times over the radio across America. As for the problem of bananas turning ripe at different times, A Korean grocery store has solved that problem by packaging up bananas so that you get one banana of each color, so they never all ripen at the same time. This is pretty genius for most people who don’t buy many bananas each week. 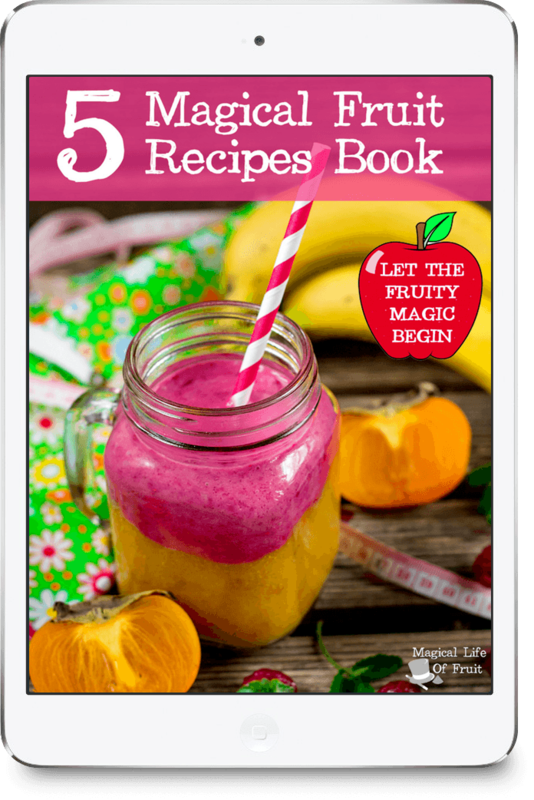 But as my mission in Magical Life Of Fruit is to encourage people to eat more fruit, so for those who eat more fruit, there is a simple solution. Just buy bunches of bananas at different stages of ripeness if you can find them. You might have to go to several different stores or do more than one shop a week though. I usually buy over 100 bananas each week for my family of 4. 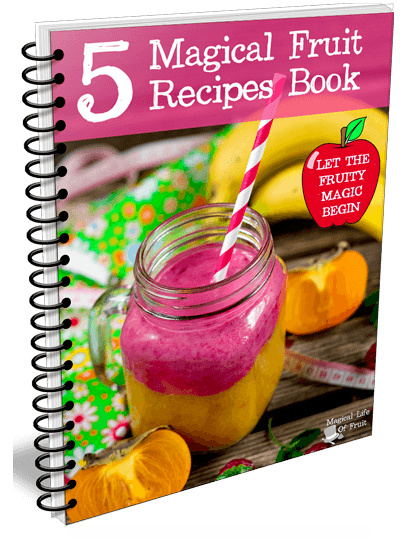 Check out my other post to find out how I easily get through so many bananas each week. How many of these points can you remember now? Not many? Let’s quickly recap them again. 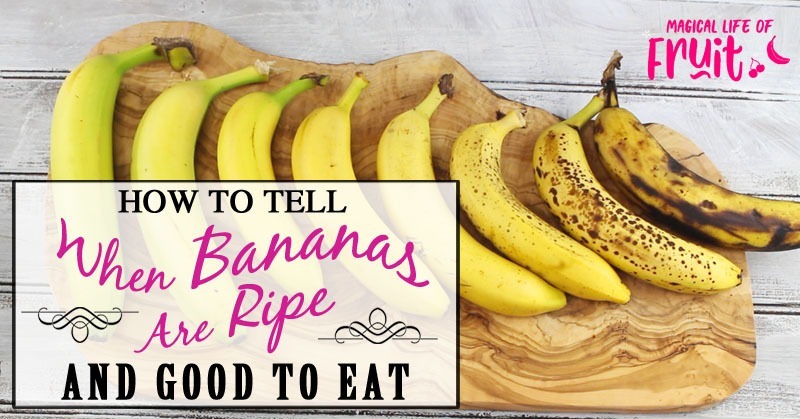 I hope you enjoyed this post about How To Tell When Bananas Are Ripe (And Good To Eat). 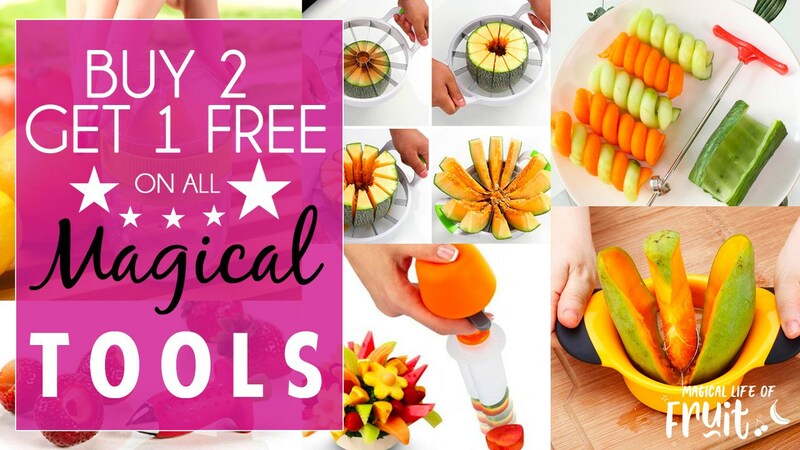 Check out the Magical Resources below where I give you details of my giveaway and another free gift. 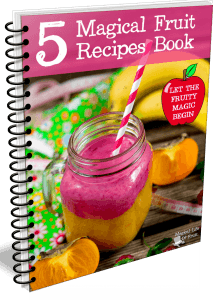 If you liked this post you’ll probably like some of my other related posts too, such as How To Peel A Banana (10 Ways) or 10 EXTRAORDINARY Banana Nutrition Facts. 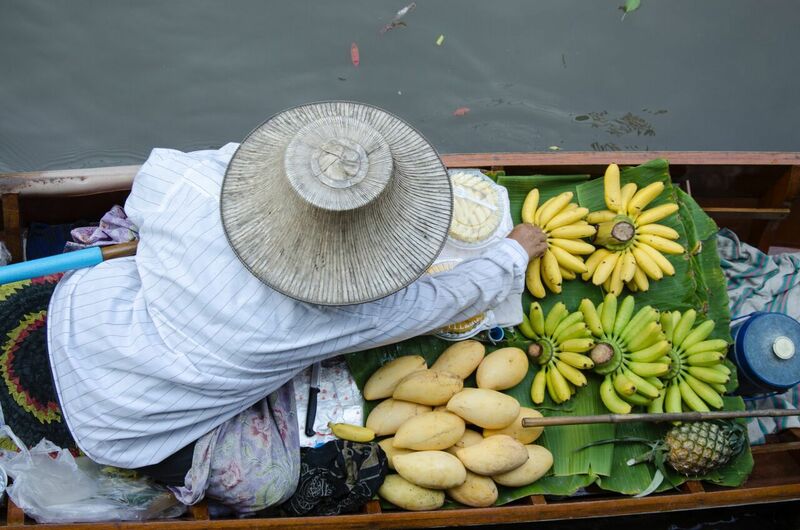 If you enjoyed this article, How To Tell When Bananas Are Ripe (And Good To Eat), please let me know your thoughts in the comments.